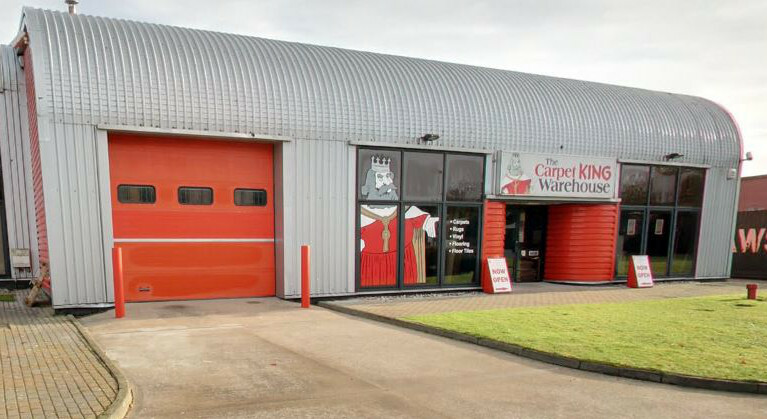 Visit Carpet King in Dundee for quality carpets and vinyls at budget prices. After choosing from our wide selection of bragain stock carpets, roll ends and vinyls, Many of our customers take their purchases home straight away. carpets are bulky items and it is not recommended to put large carpets on car roofs etc., we have a specialist delivery service, your floor coverings can be delivered direct to your door for a nominal charge. as well as a full professional fitting service for any type of flooring. Our staff are trained to provide the best possible advice and can arrange a free of charge measure to be carried out in your home. This gives you peace of mind knowing that measurements are accurate. See more about carpet and waste disposal at "Gillies Goes Green"
At Carpet King, we offer a free measuring service. Please click here to complete this simple form to request a free measurement. Our free measuring service gives you peace of mind knowing that measurements are accurate.